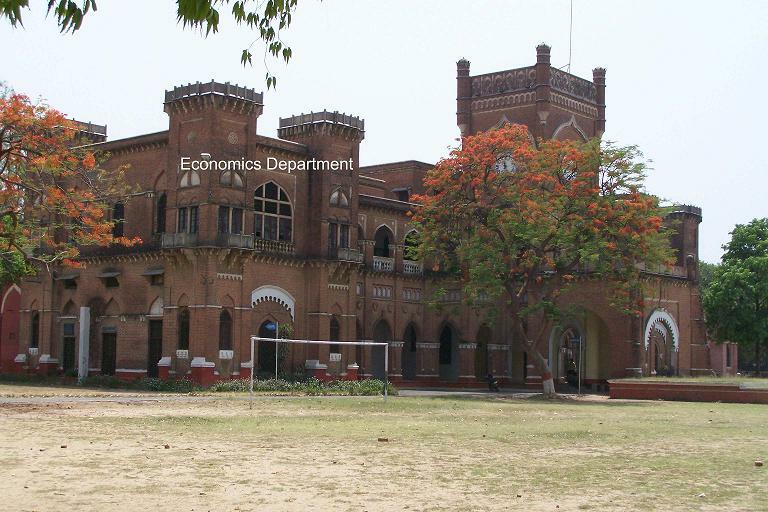 The Department of economics was established along with the foundation of EWING CHRISTIAN COLLEGE in 1902. Prof. Sam Higgin Bottom a visionary economist and one of the founder members of the college was the first head of the Department of Economics. He could foresee the severe problems Indian agriculture was heading to confront e.g. drought and famine, low productivity and poverty etc. Hence in order to equip to overcome the problems Indian agriculture was then facing he wanted to establish an institute to disseminate the information and technology regarding agricultural practices. For this noble cause he took an initiative to volunteer his services, he took two years leave from the college, went to U.SA. to raise the funds and launched an extension centre of the Department of Economics, E.C.C. in 1911 in Trans -Yamuna area. This extension centre later evolved as the famous Allahabad Agriculture Institute (AAI), presently known as Sam Higginbottom Institute of Agriculture, Technology & Sciences (SHIATS). In 1921 as per the Act of University of Allahabad UG & PG classes of the college were shifted to University of Allahabad. The college and therefore the department were reduced to intermediate level. In 1956, E.C.C. the then undergraduate college restarted U.G. classes in the Department of Economics under the Headship of Dr. Eugene Finch. Qualification : M. A., D.Phil.